Acer rubrum L. Sp. Pl. 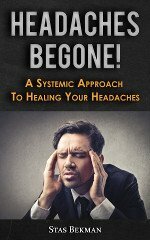 1055. 1753. A large tree with flaky or smoothish bark, maximum height about 120o feet and trunk diameter 3°-4i°. Twigs reddish; leaves 3'-4' long, cordate at the base, sharply 3-5-lobed, the lobes irregularly dentate, acute or acuminate, bright green above, pale and generally whitish beneath, often more or less pubescent; flowers red or yellowish, in sessile lateral clusters much preceding the leaves; petals narrowly oblong; stamens 3-6; fruiting pedicels elongating; samaras glabrous, slightly incurved, 9"-12" long, the wing 3-4" wide, broadest at or above the middle. In swamps and low grounds, Nova Scotia to Manitoba, Nebraska, Florida and Texas. Wood hard, not strong; color light reddish brown; weight per cubic foot 38 lbs. Used for furniture, gun-stocks, etc. Foliage crimson in autumn. Ascends to 4000 ft. in Virginia. Consists of numerous races; the three following species appear to be distinct. White, soft, shoe-peg, or hard maple. March-April. 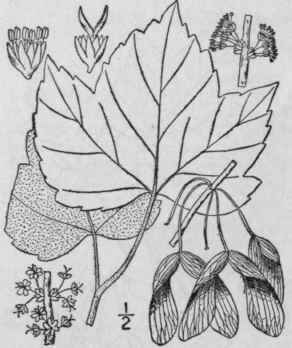 Acer stenocarpum Britton, N. A. Trees 647. 1908. 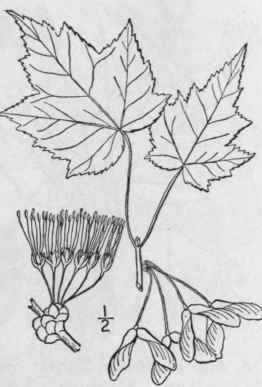 A small tree, with leaves similar to those of the Red Maple, thin, light green above, pale beneath, 3-lobed or 5-lobed. Flowers red, appearing before the leaves; samaras on very slender stalks 2'-3' long, linear, not widened above, about 10" long, 1 1/2"-2 1/2" wide, slightly curved, the seed-bearing part very strongly striate. Flinty soil, Allenton, Missouri. April. Acer carolinianum Walt. Fl. Car. 251. 1788. 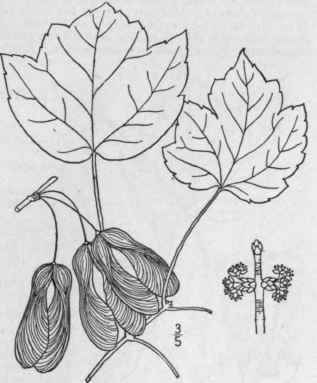 Acer rubrum tridcns Wood, Classbook 286. 1863. A tree attaining nearly or quite the dimensions of the Red Maple, with grey, relatively smooth bark. Leaves rather firm in texture, dark green above, white-glaucous and more or less pubescent beneath, mostly 3-lobed and obovate or obovate-orbicular in outline, or 5-lobed and suborbicular, rarely ovate and without lobes, the margin serrate; fruit similar to that of the Red Maple, bright red or sometimes yellow. Wet or moist soil, Massachusetts to Pennsylvania, Missouri, Florida and Texas. Feb.-April. 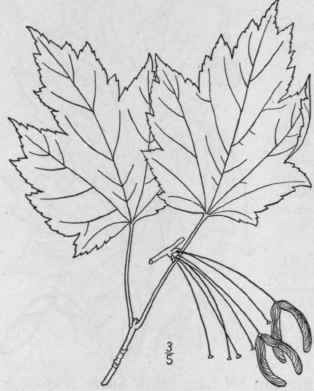 Acer Drummondii H. & A.; Hook. Journ. Bot. 1: 200. 1834. Acer rubrum var. Drummondii Sarg. 10th Census U. S. 9: 50. 1884. A large tree, similar to the preceding species. Leaves 3-6' long, thicker, 3-lobed, or sometimes 5-lobed, obtuse or cordate at the base, densely whitish tomentose beneath when young, the tomentum persisting, at least along the veins, the lobes short, broad, acute or acuminate; young twigs and petioles more or less tomentose; flowers in lateral sessile fascicles unfolding much before the leaves; petals present; fruiting pedicels 1'-2' long; samaras glabrous, more or less incurved, 1 1/2' -2 1/2 long, the wing 5"-10" broad at middle. In swamps, southern Missouri to Georgia, Florida and Texas. Fruit brilliant scarlet, ripening in March or April.